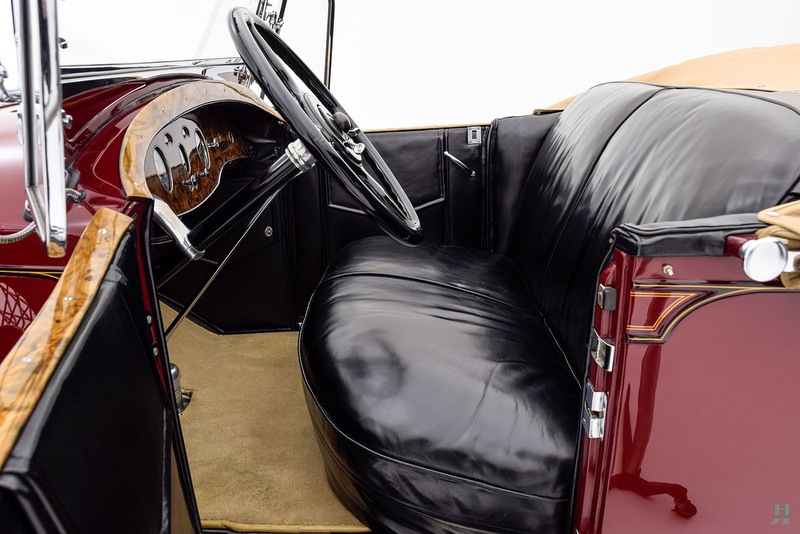 Packard’s Sixth Series debuted on August 1, 1928, continuing the long-running tradition of exceptional quality, engineering excellence, and sophisticated style. 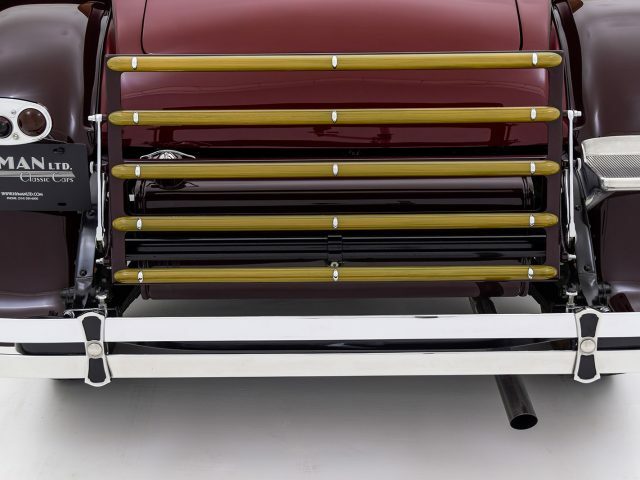 Customers had a wide range of catalog body styles to choose from, as well as four different chassis options. 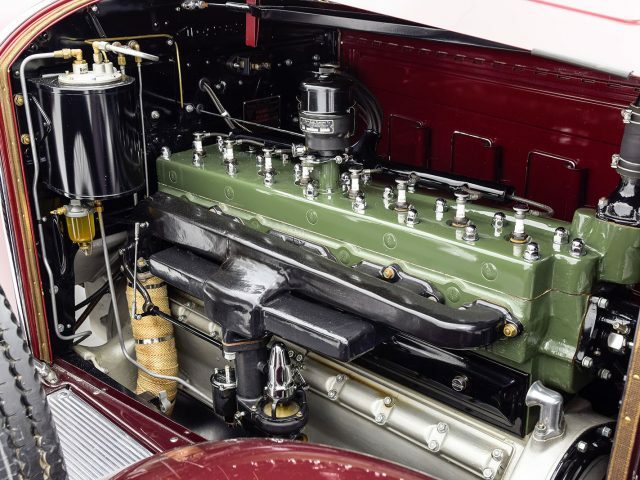 The base of the lineup consisted of the 626 and 633 Standard Eight (wheelbases of 126” and 133” respectively), with a 90 horsepower, 319 cubic-inch eight-cylinder. 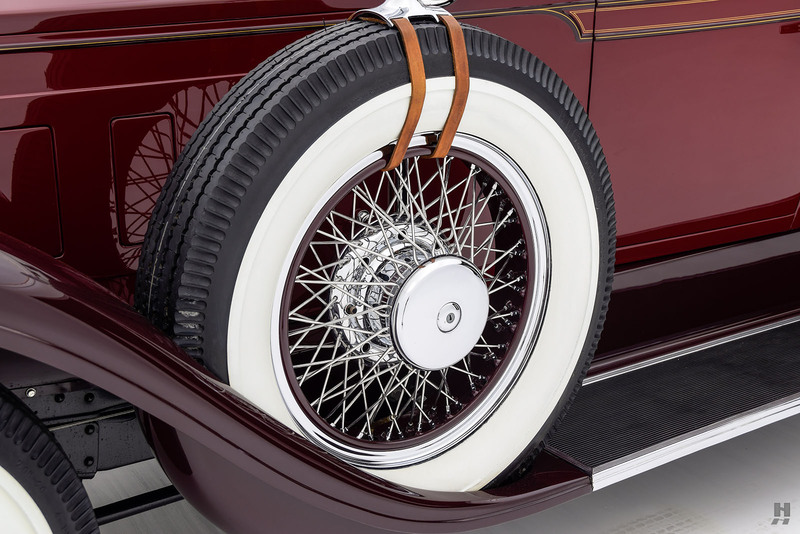 The term “base model” is relative as the least expensive Club Sedan came in at $2,275 at a time when a new Ford was just $435. 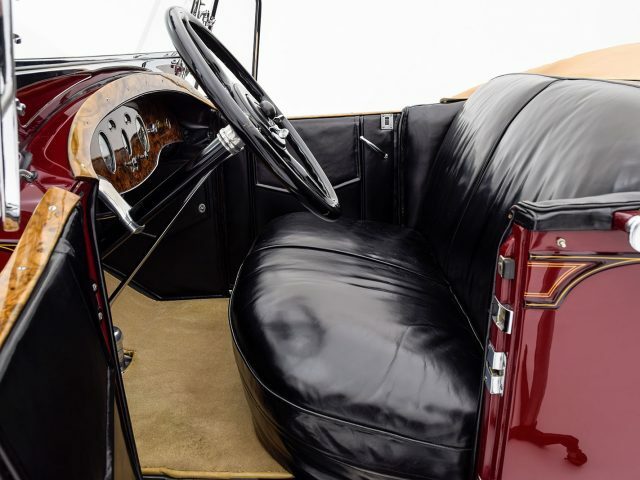 Customers wanting a bit more exclusivity could opt for the 640 Custom Eight or 645 Deluxe Eight, both fitted with the larger, 106 horsepower, 384.8 cubic-inch “Big Eight.” As always, Packard’s Custom Catalog was rife with options for unique coachwork, though many buyers opted for the beautifully styled standard bodies. 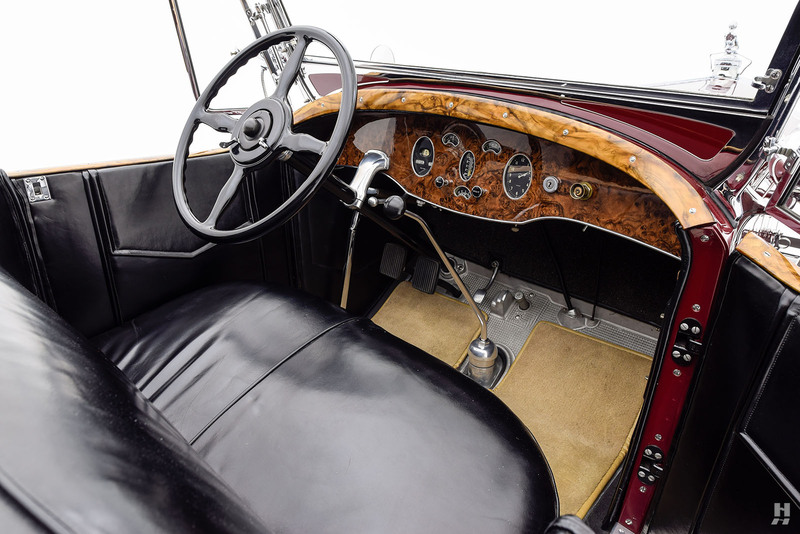 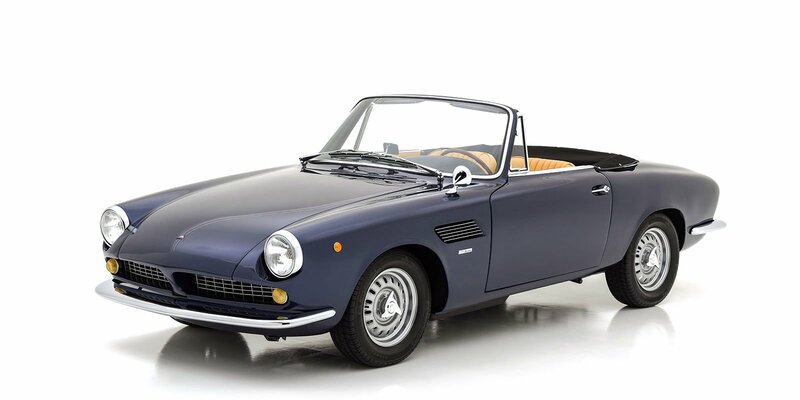 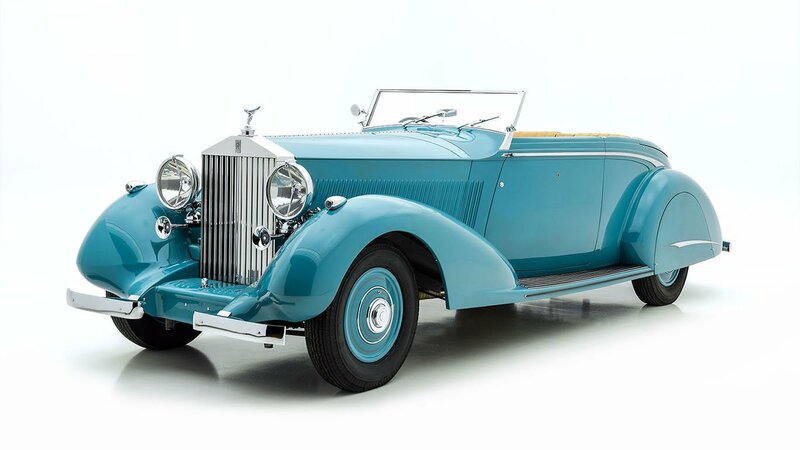 One of the prettiest of all was the gracefully styled 2/4 passenger Runabout, style number 342. 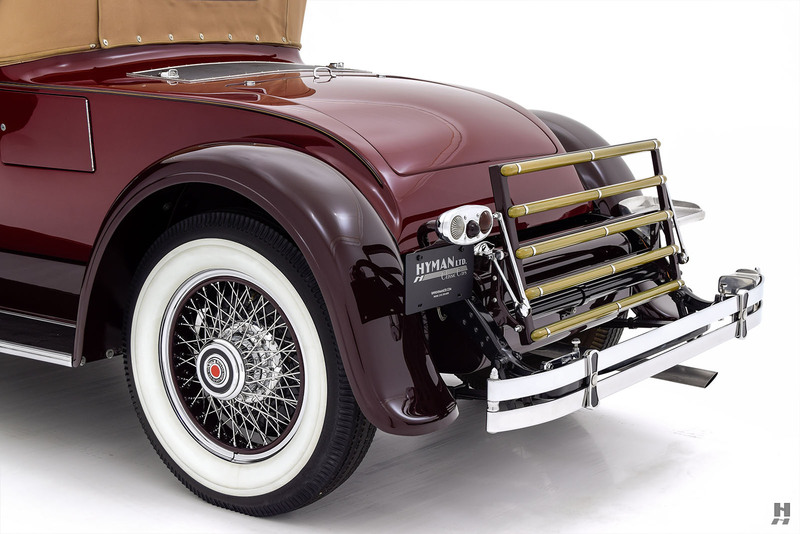 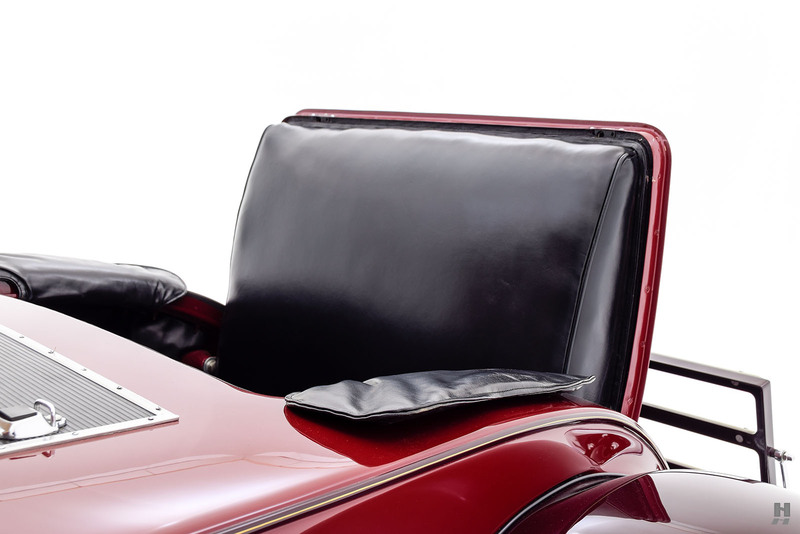 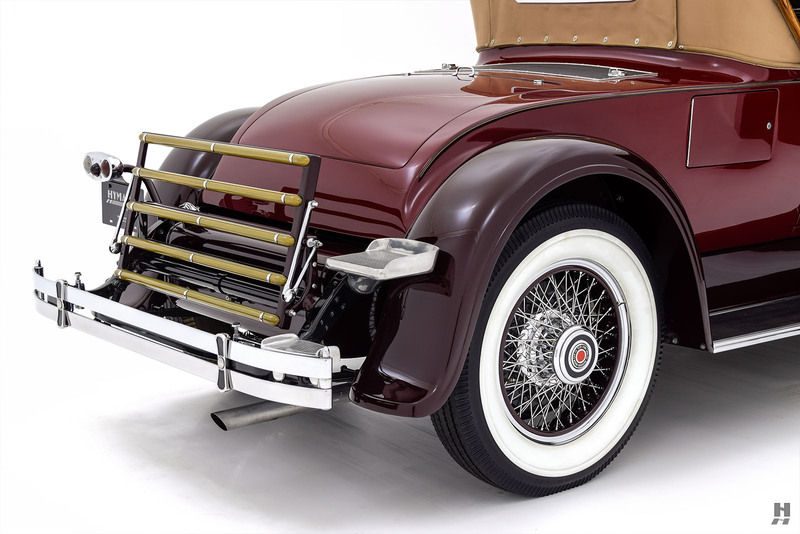 With its deeply curved front fenders, low profile, and raked windscreen, the Runabout roadster captured the essence of late-twenties American sports motoring. 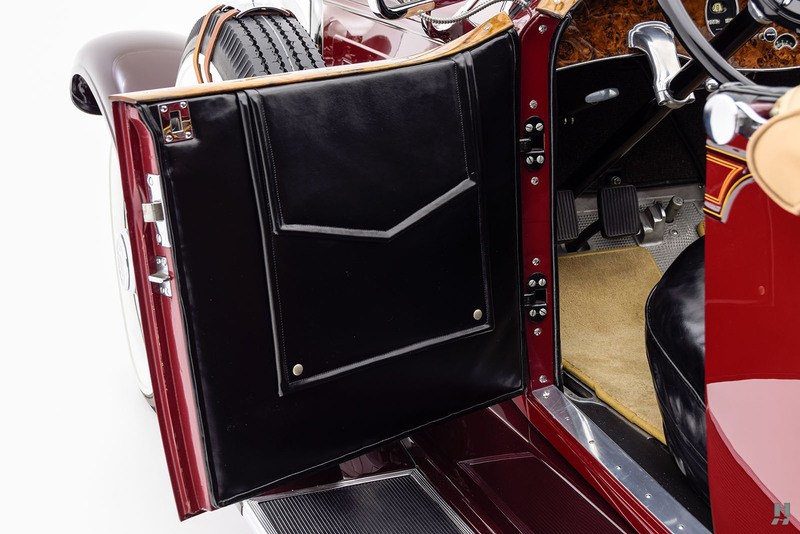 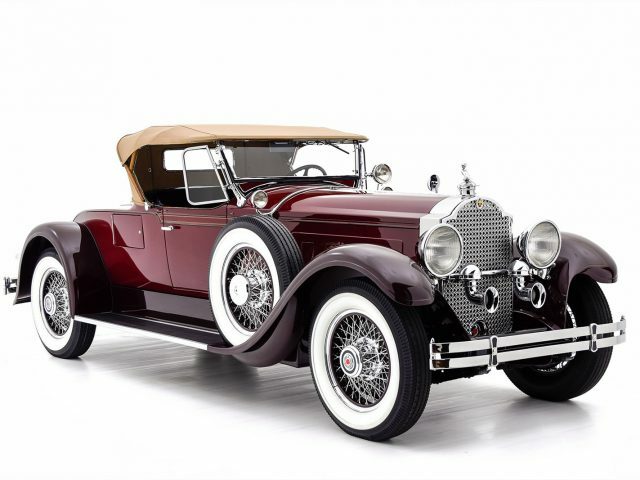 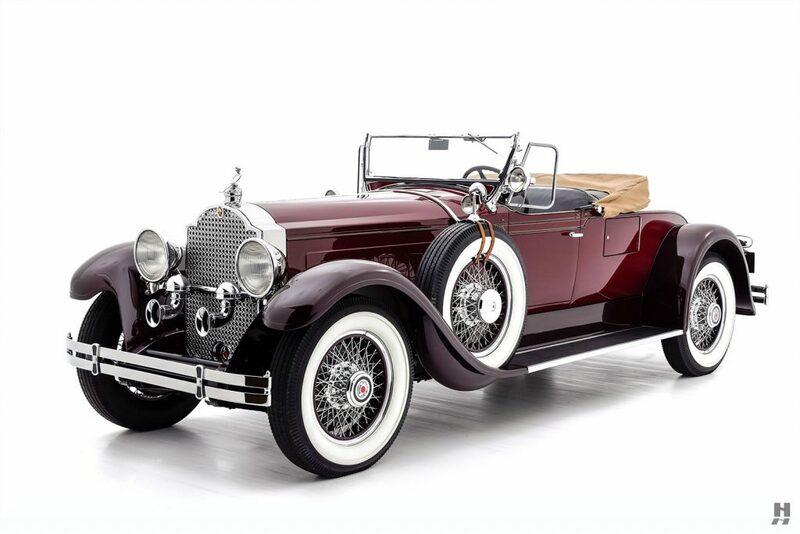 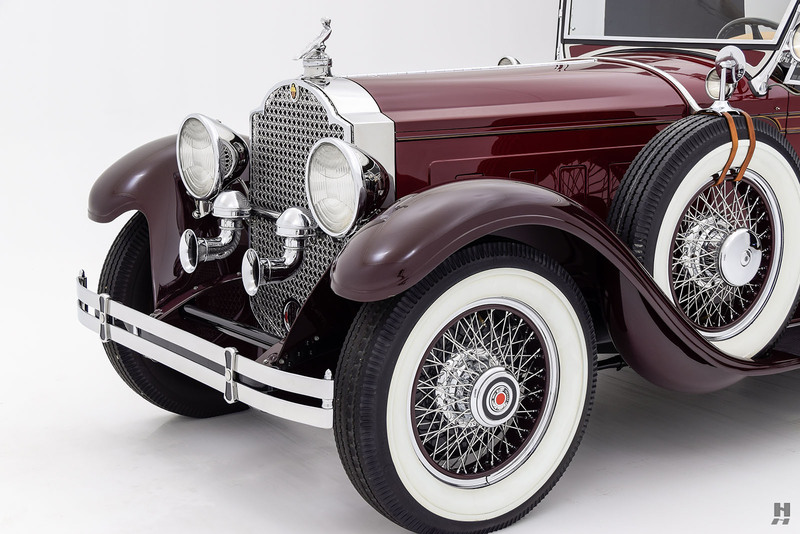 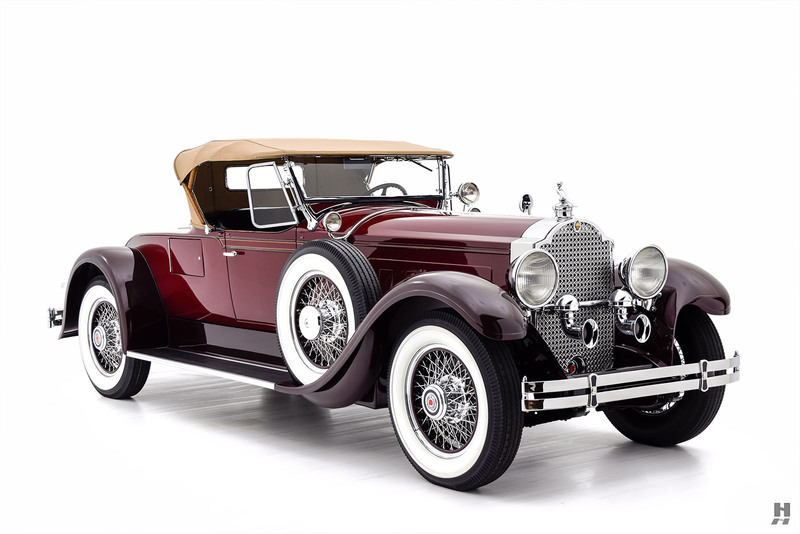 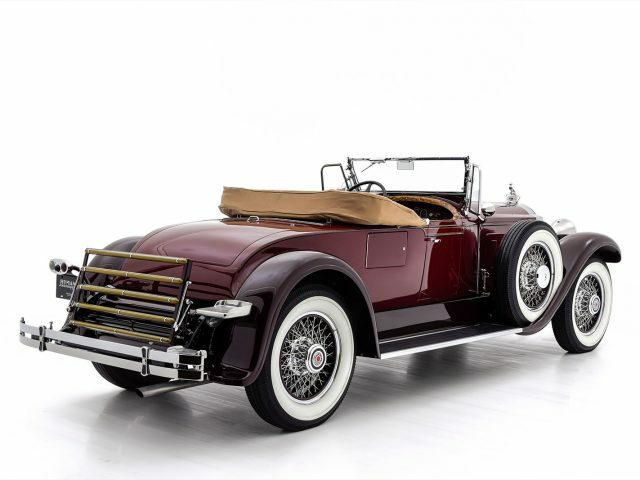 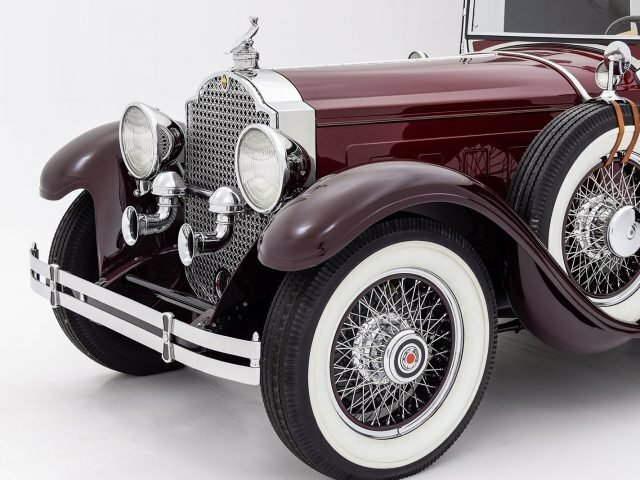 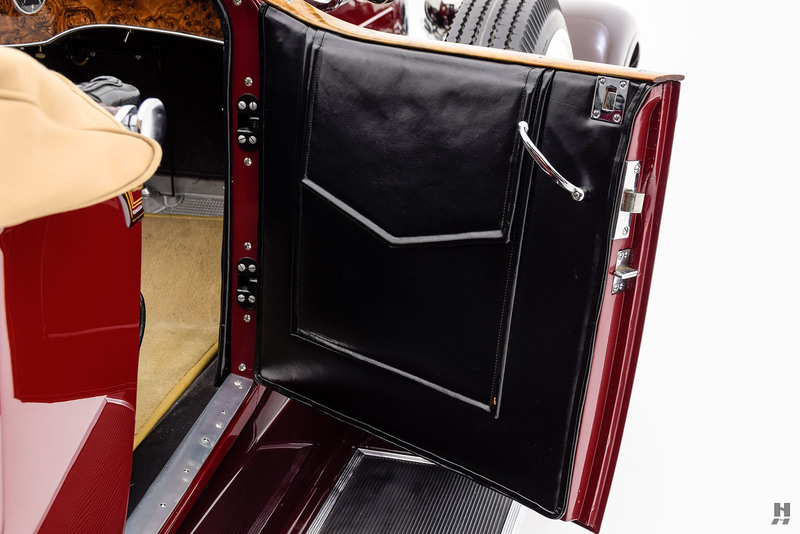 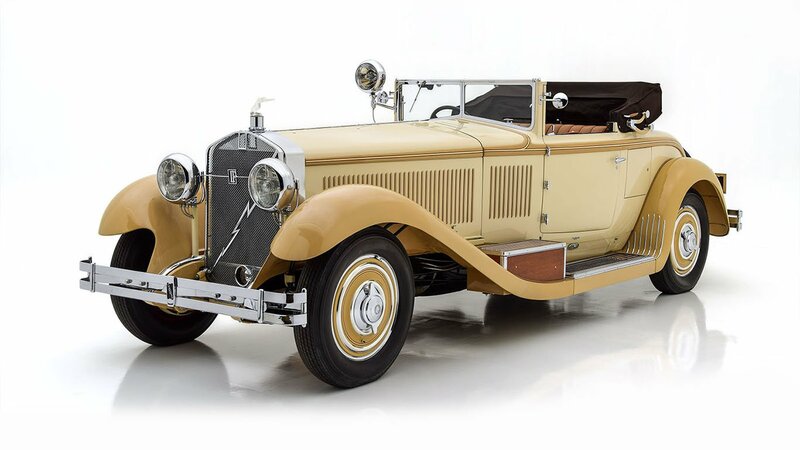 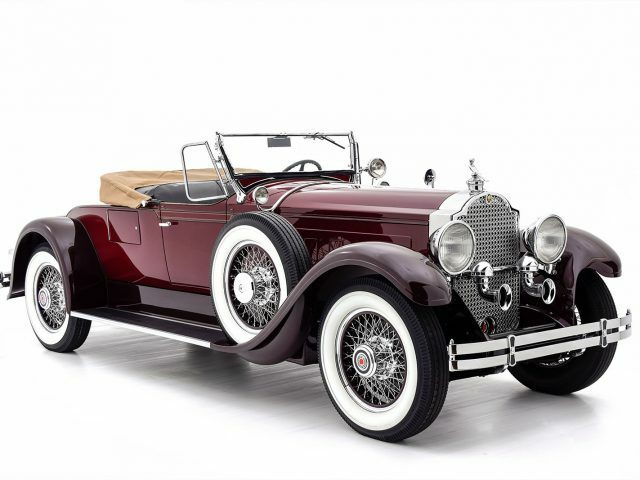 This gorgeous, meticulously-restored 1929 Packard 640 Custom Eight Runabout is a marvelous example of one of the most desirable models in the Sixth-series range. 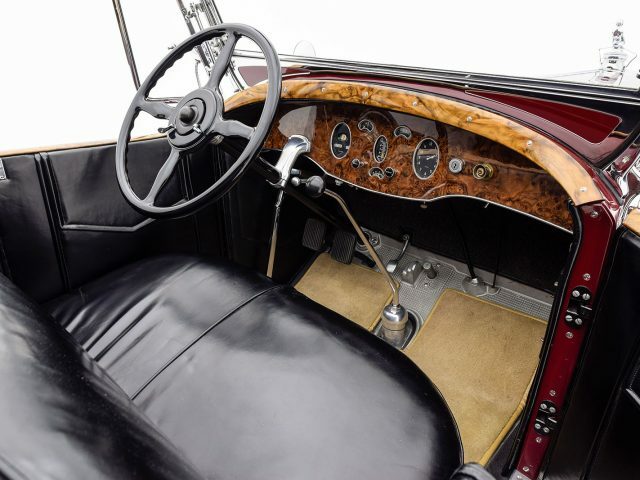 This particular car has a rich and fascinating history from new. 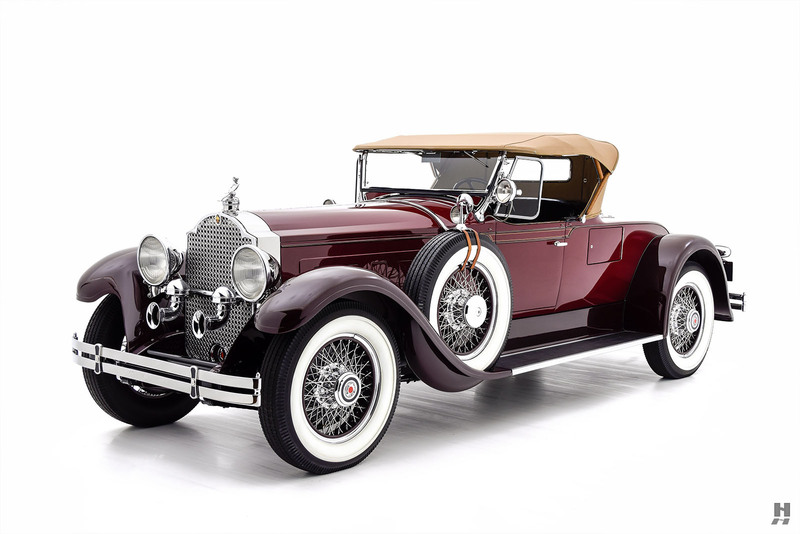 It is believed the original owner was Frederick C. Crawford, who took delivery via the Cleveland Packard Co. of Cleveland, Ohio. 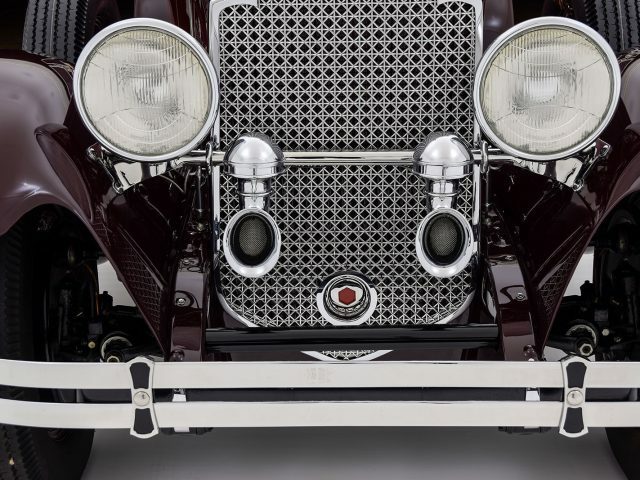 Crawford was an Ohio-based industrialist who served as president of Thompson Products, which would later become TRW; a vast and powerful company with interests in aviation, space, and automotive industries. 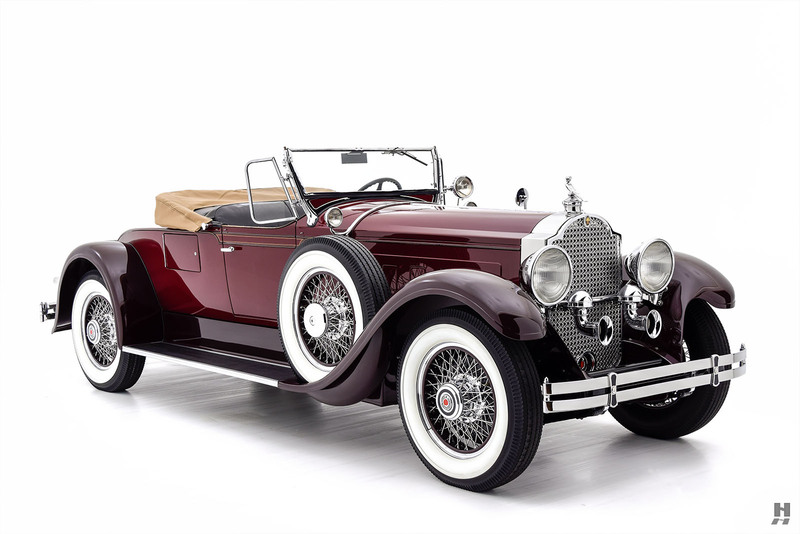 Crawford was an avid motoring and aviation enthusiast, and through the years, he amassed an extensive collection of important historical vehicles. 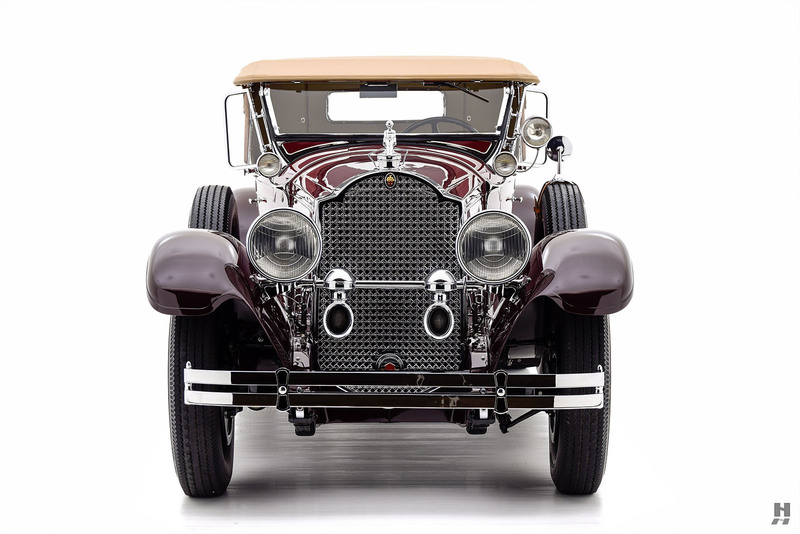 Crawford should be considered one of the fathers of the collector-car hobby, as he recognized the automobile’s historical importance at a time when old cars were seen for little more than their scrap value. 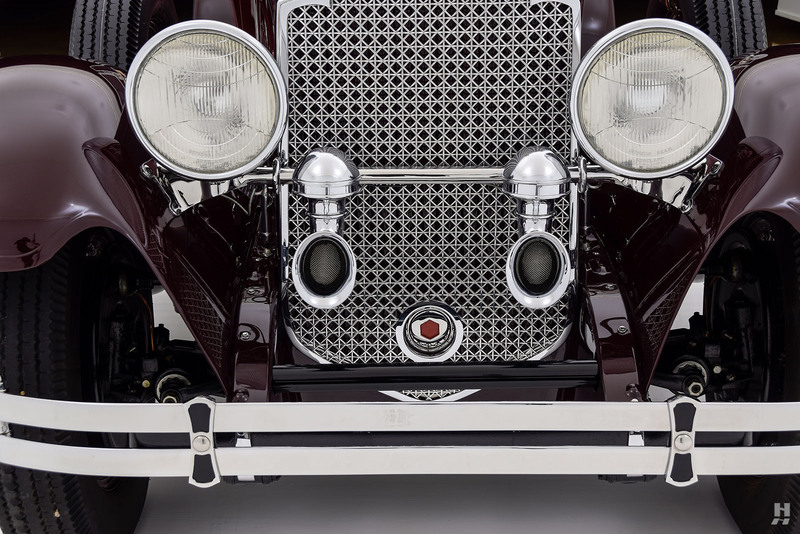 TRW housed his collection for many years before it was gifted to the Western Reserve Historical Society, to form the Crawford Auto-Aviation Museum. 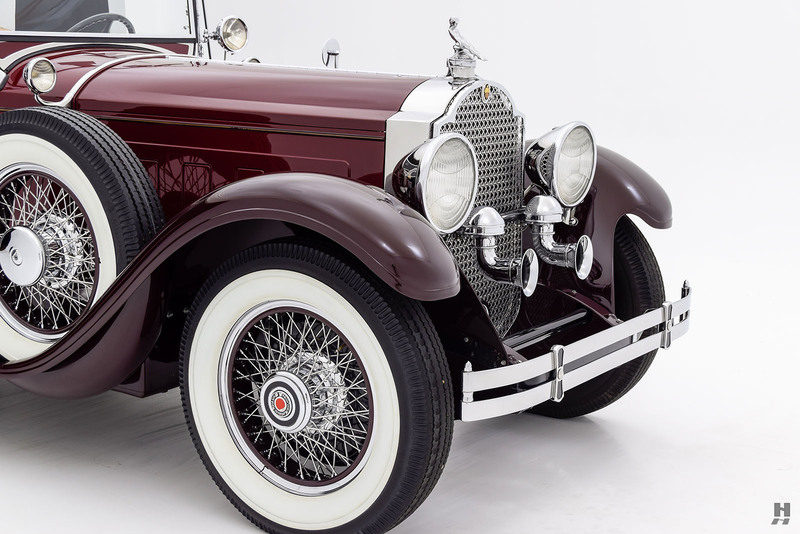 The museum is still in operation today as part of the Cleveland History Center. 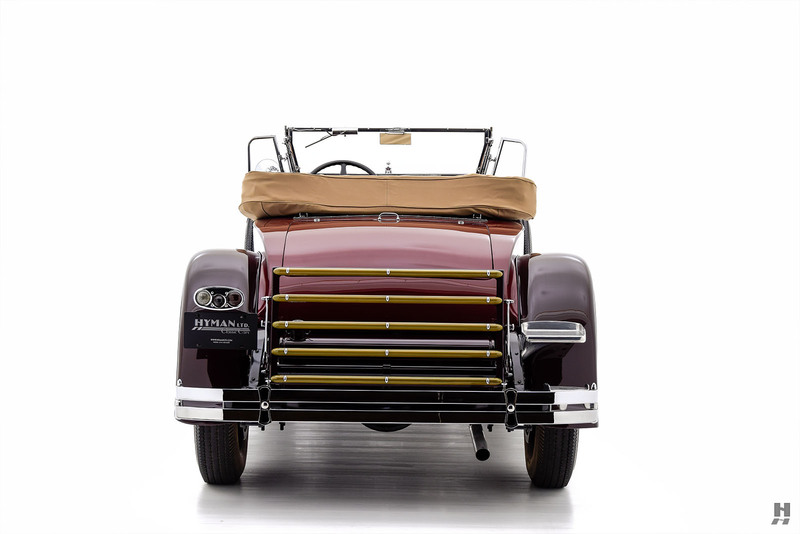 It is not clear exactly how long Crawford owned this Packard Runabout in period, although a letter from the museum suggests Lee Clegg purchased it from Crawford in 1949. There is no documentation to prove this at this time; however, the extensive history file does show that Clegg donated the Packard Roadster the Western Reserve Historical Society in 1964, effectively returning it to the original owner! 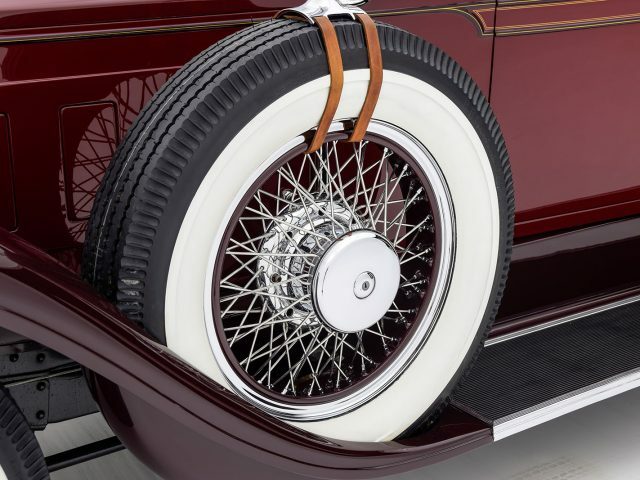 When it rejoined the Crawford collection, the Packard was in fine condition, finished in an off-white and cream color combination with red wheels, perhaps restored once already. 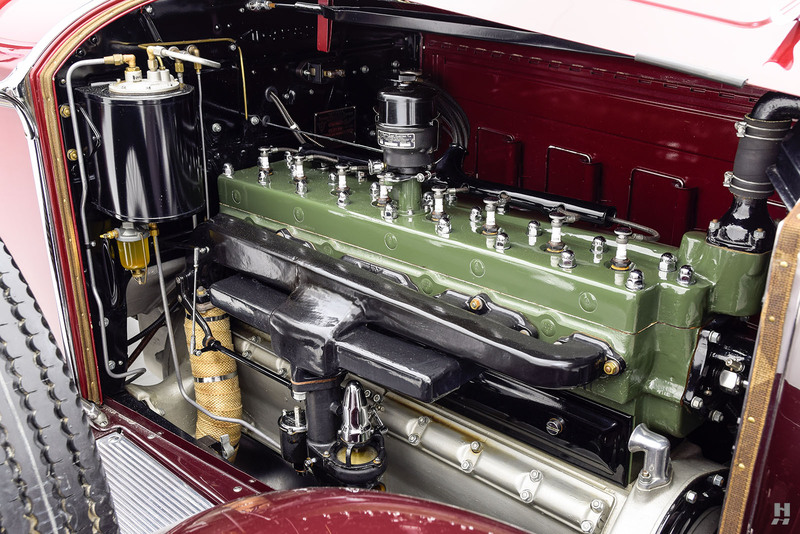 In 1973, the Packard was loaned to The Henry Ford for display in a special exhibit on American sports cars. 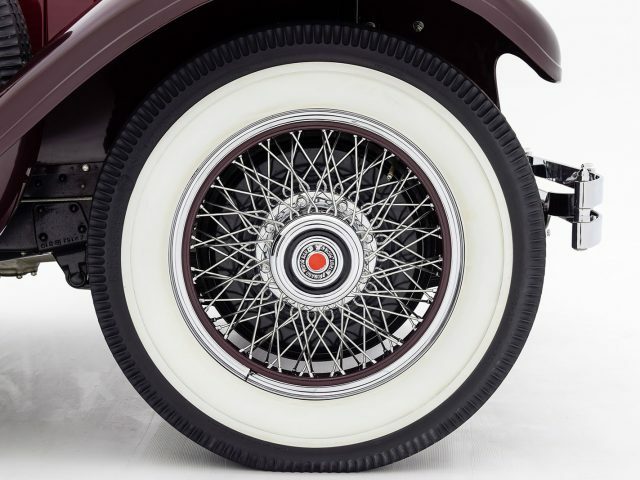 In the 1970s, the Runabout has featured in a print advertisement for TRW as well as an ad campaign for General Tire. 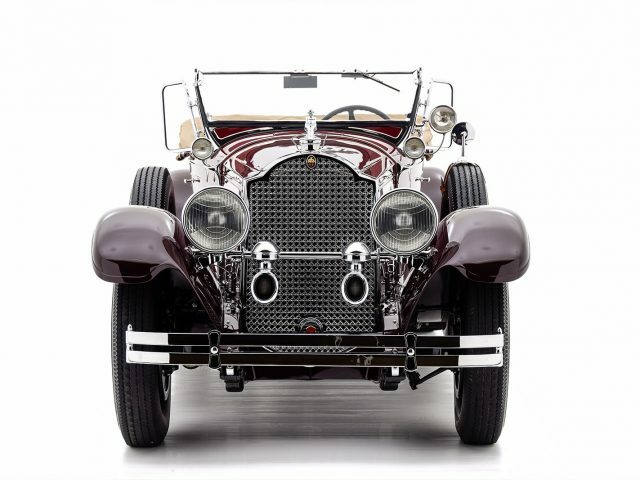 It remained with Crawford until 1990 when it, along with some other cars from the collection, was sold by Sotheby’s auction house at a special sale in Cleveland. 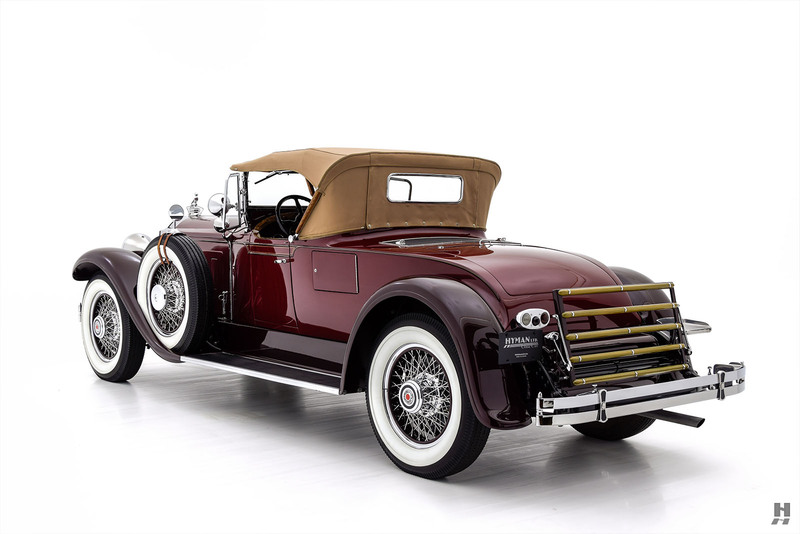 Paul Mehes of nearby Novelty, Ohio fell in love with the striking Packard and was lucky enough to purchase it, even turning down an opportunity of an immediate $5,000 profit after the sale. 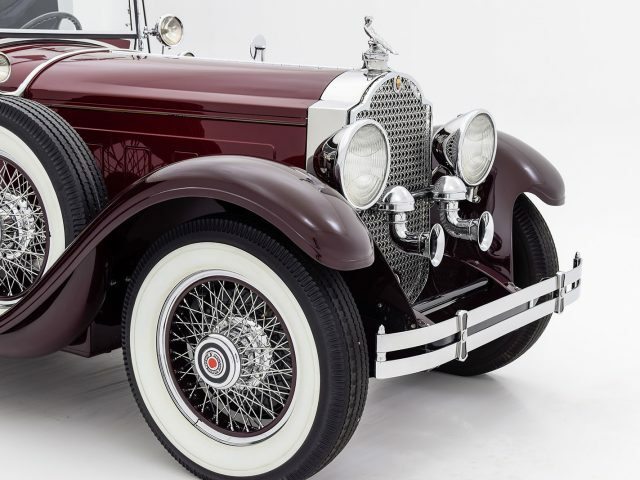 Mehes turned his newly acquired Packard Roadster over to his friend and restorer Jack Basom with the idea of freshening the car up to drive and enjoy. 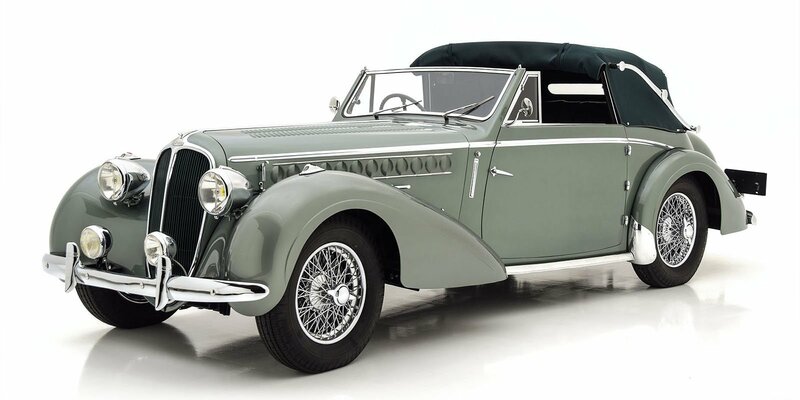 That quickly snowballed into a meticulous, concours-quality restoration with spectacular results. 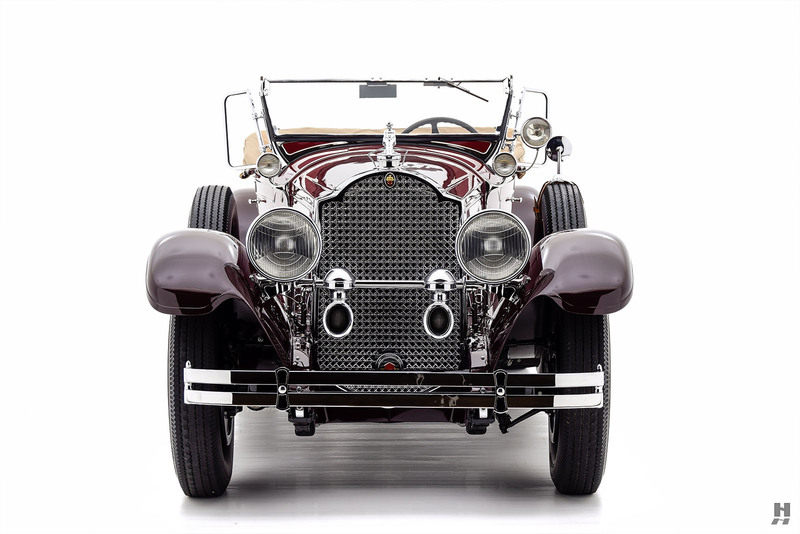 The substantial history file is filled with parts receipts, correspondence and intricate notes by Basom documenting the project. 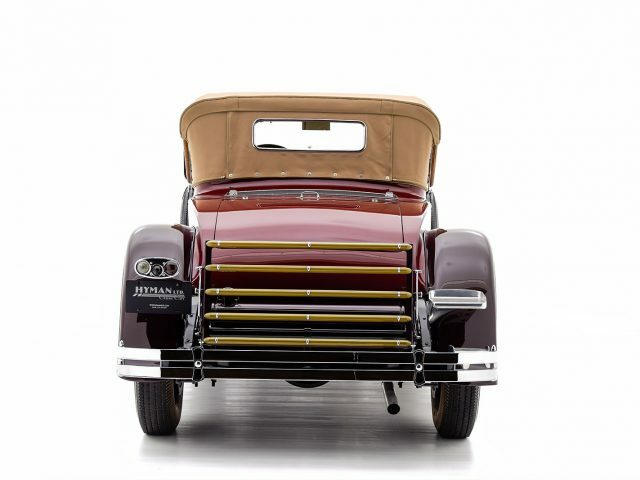 Completed in the early 1990s, the gorgeous Packard hit the show circuit, winning a CCCA Primary Award at the 1992 Dearborn Grand Classic, followed by a Senior Award at the National Meet in Baltimore, MD. 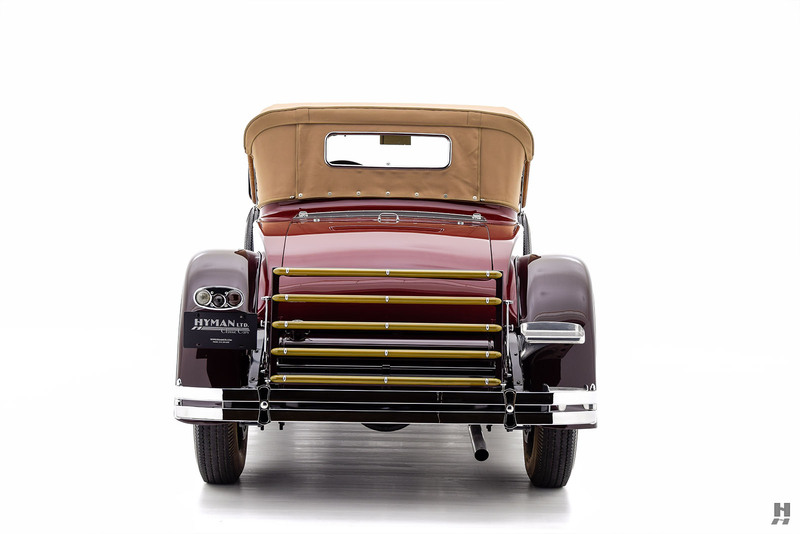 The car received a Salon feature in Packard International Magazine and was on the cover of the CCCA Michigan Region’s publication. 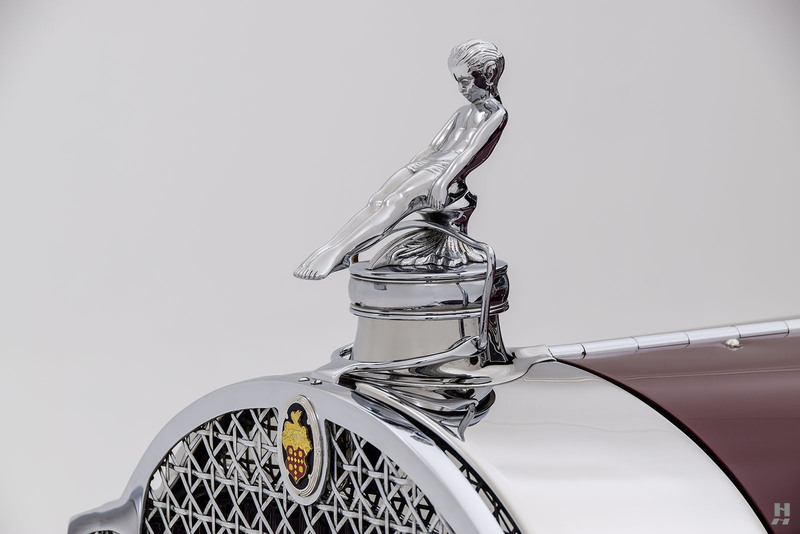 In 1995, Paul Mehes and his cherished Packard were invited to the Pebble Beach Concours d’Elegance, and the acceptance letter and show credentials still accompany the car. 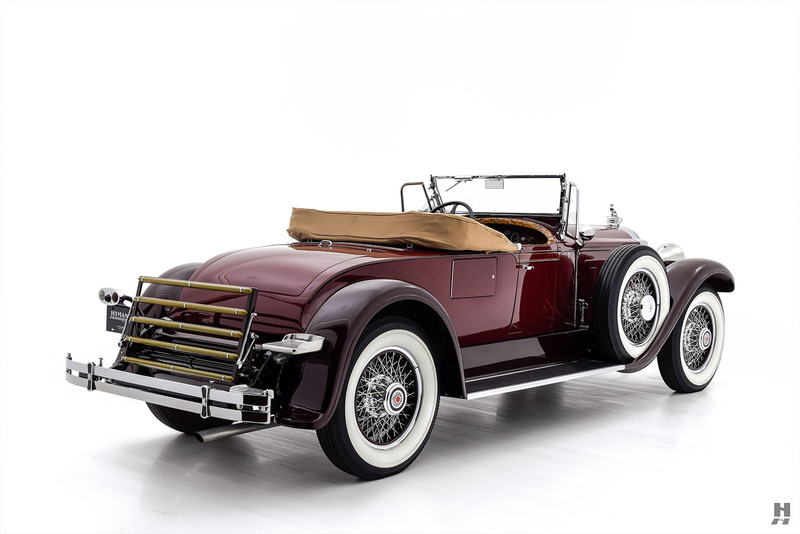 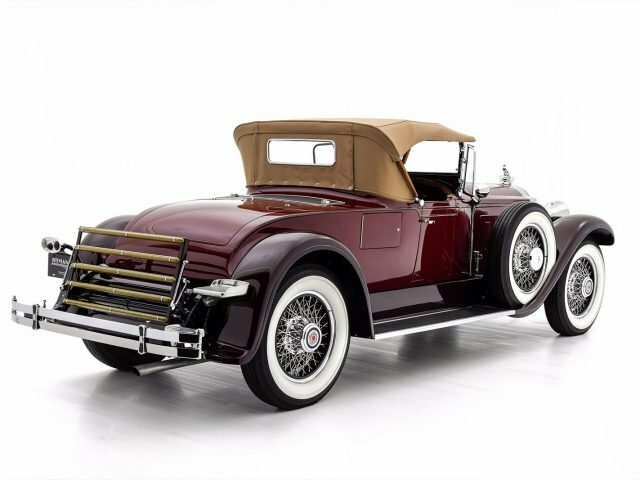 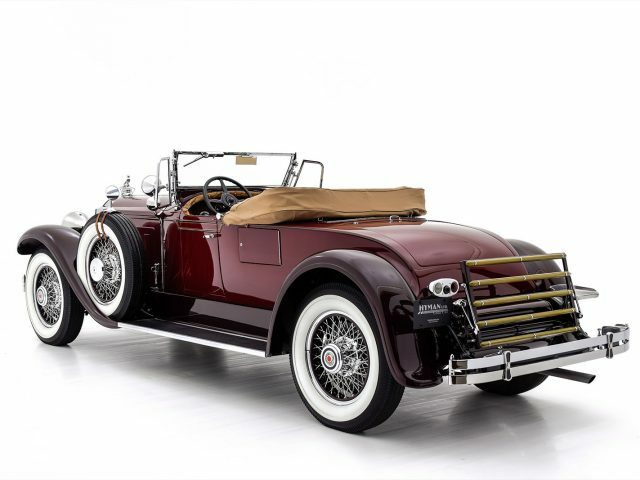 In recent years, this stunning Packard Runabout has been lovingly maintained by a passionate collector of classic-era automobiles. 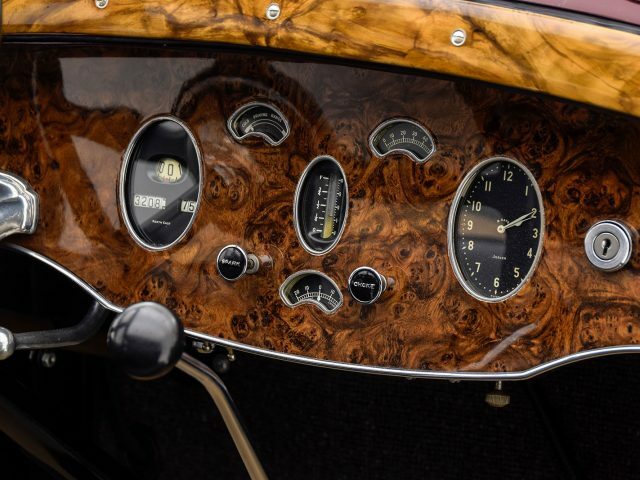 Despite being more than 25 years old, the concours-quality restoration looks beautiful, benefitting from recent freshening and meticulous care. 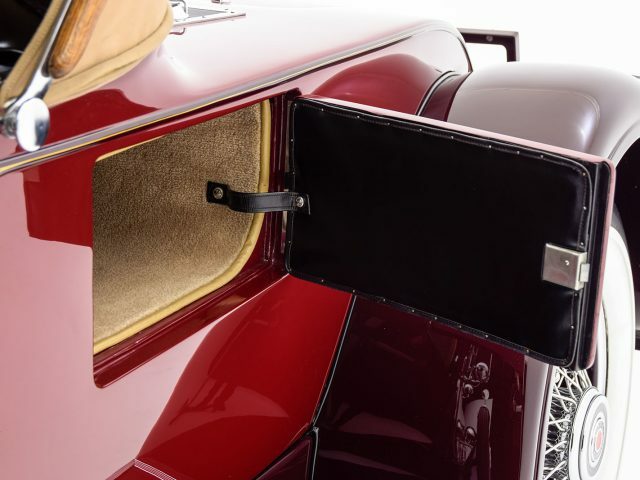 The paint quality is excellent, with the handsome two-tone burgundy/red combination highlighted with subtle straw-colored coach lines and exquisite detail. 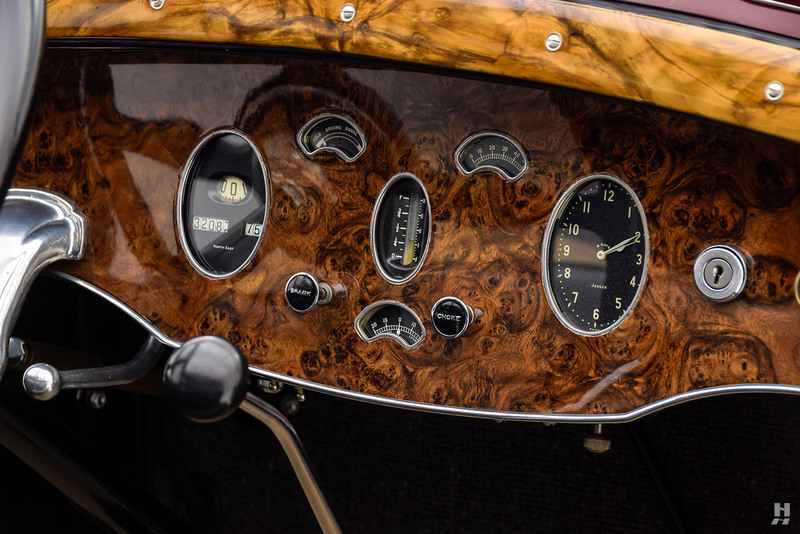 Sitting low on a 140-inch wheelbase chassis, the 640 Runabout is breathtakingly elegant, while the period accessories add an appropriate dash of excitement. 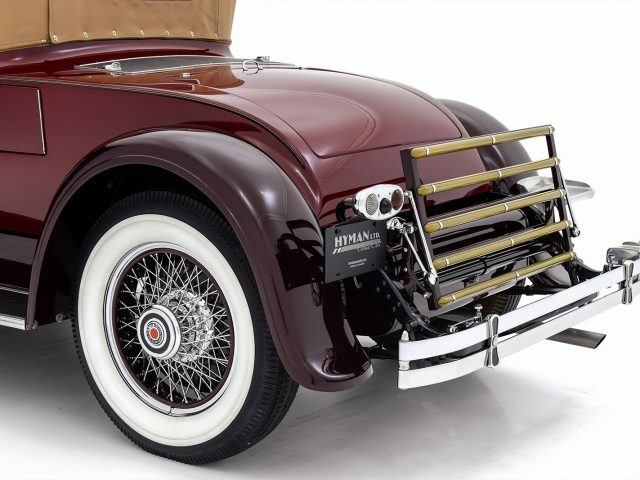 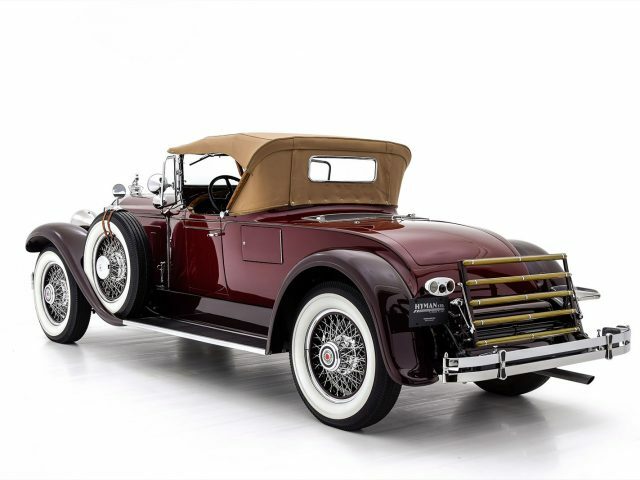 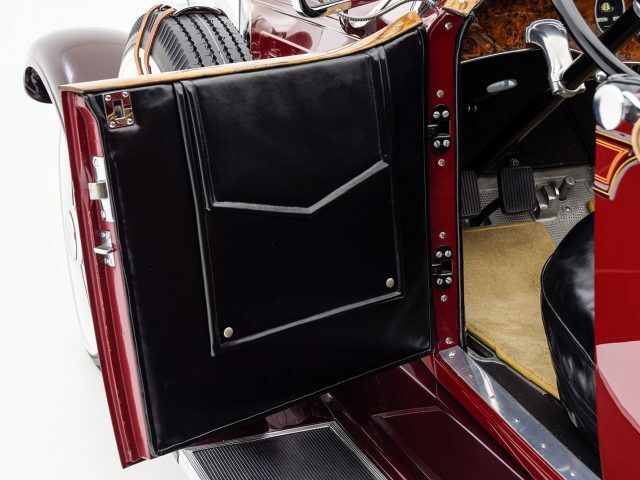 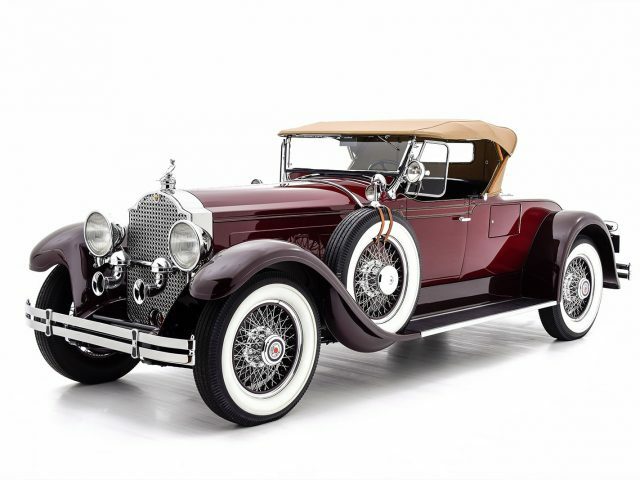 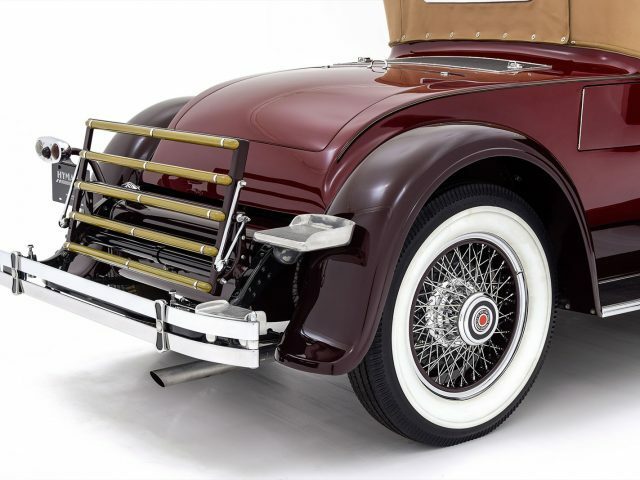 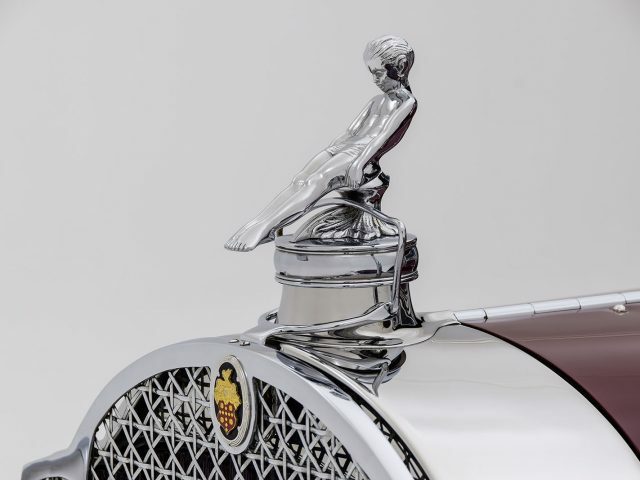 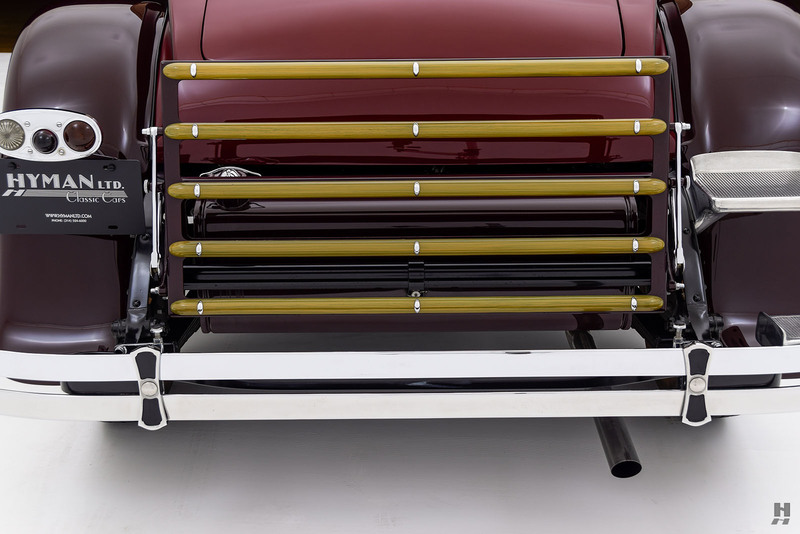 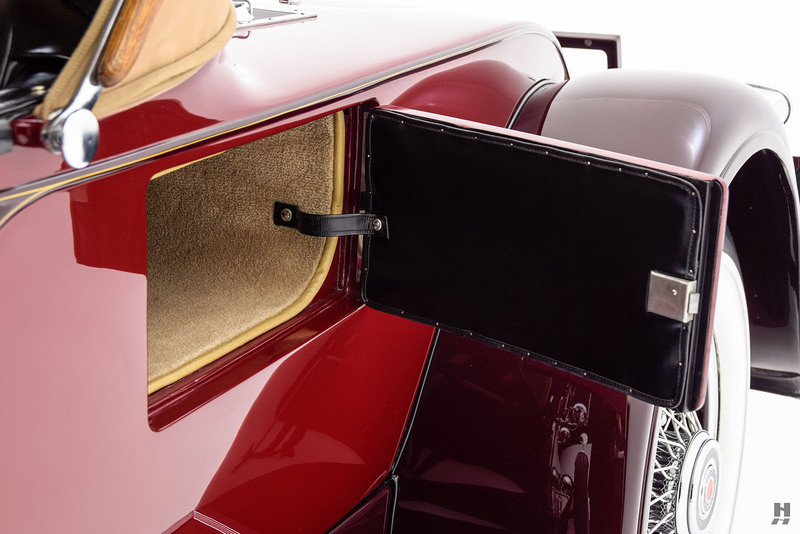 Gorgeous chrome fittings include a radiator stone guard, dual cowl lights, driver’s spot lamp, Bosch-style trumpet horns, dual side mount spare wheels, and the Packard Adonis mascot – a special option typically reserved for the most sporting of Packards. 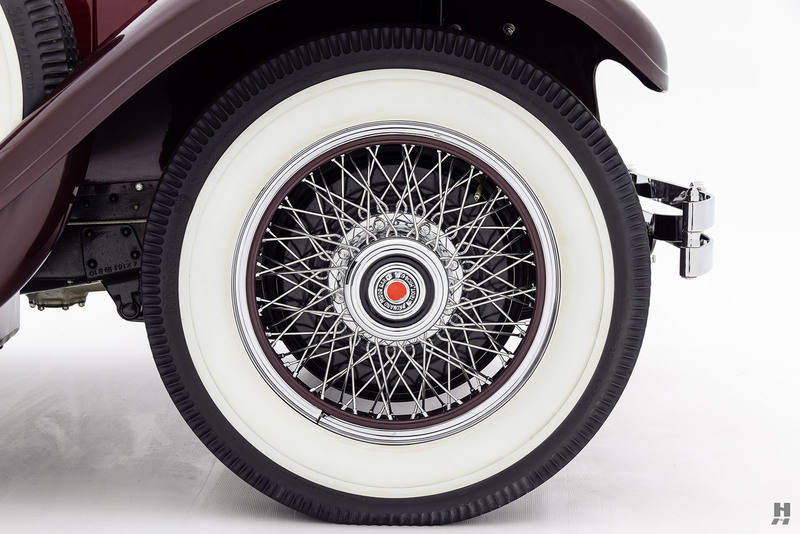 20-inch wire wheels with chrome hubs and spokes are accented with painted rims for the ultimate pre-war sporting look. 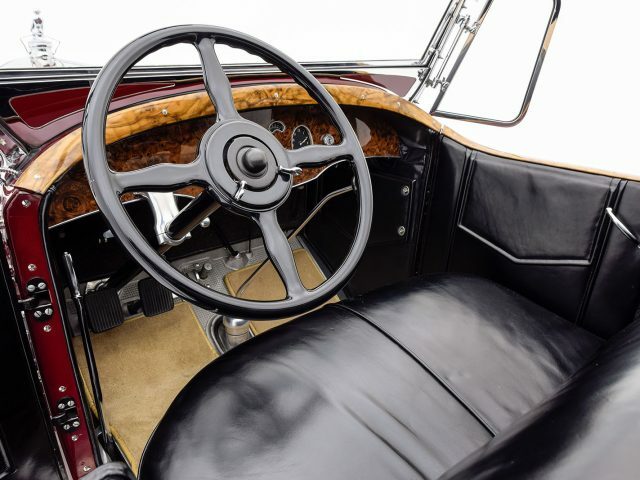 Passengers enjoy a cozy two-place cockpit trimmed in black leather, showing a moderate yet attractive patina. 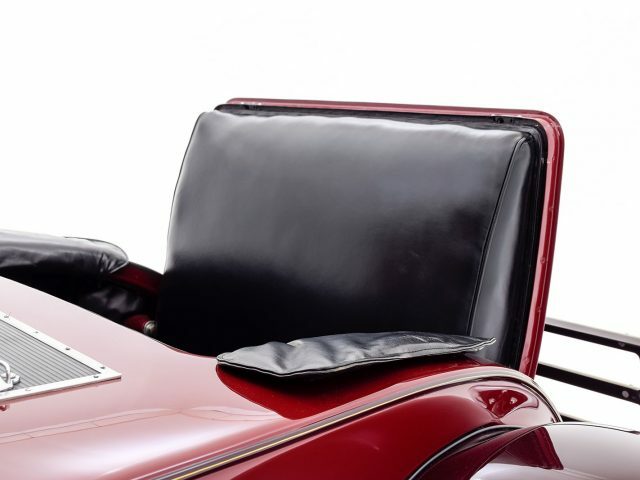 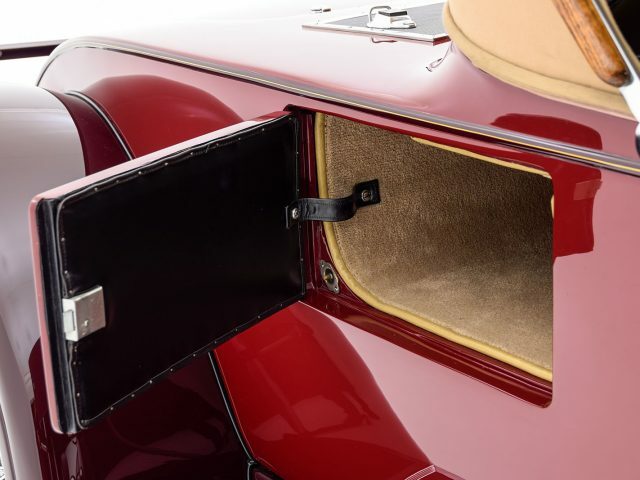 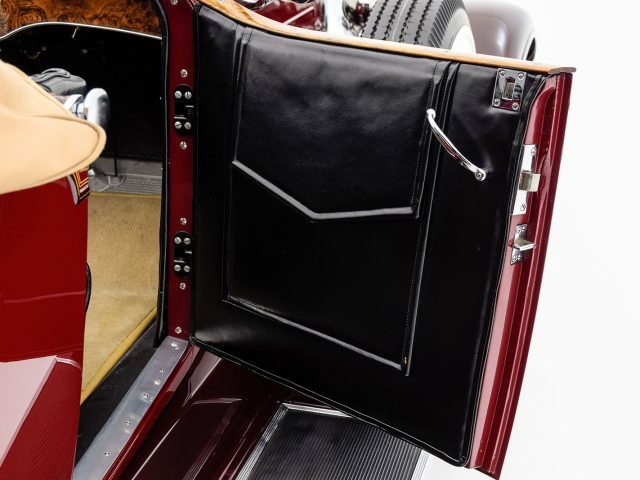 The same materials repeat in the rumble seat, presenting in similarly well-preserved condition. 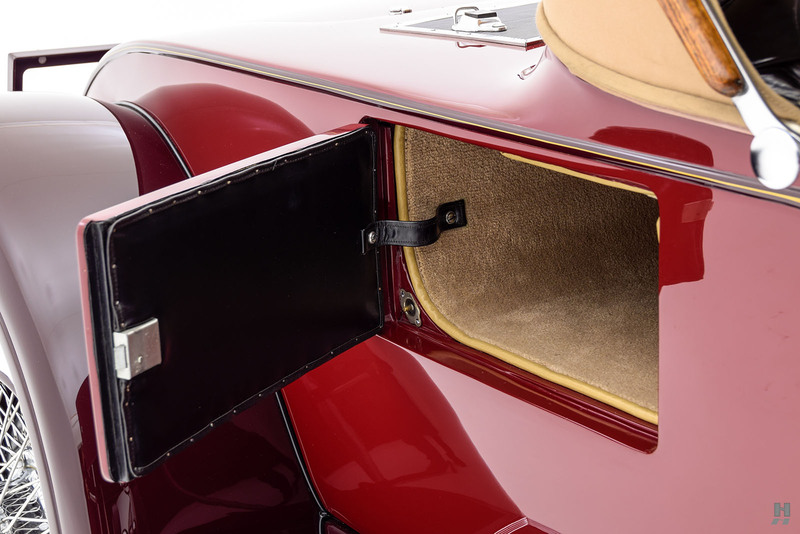 The top is trimmed in tan canvas, and a pair of matching side curtains stow neatly behind the front seat. 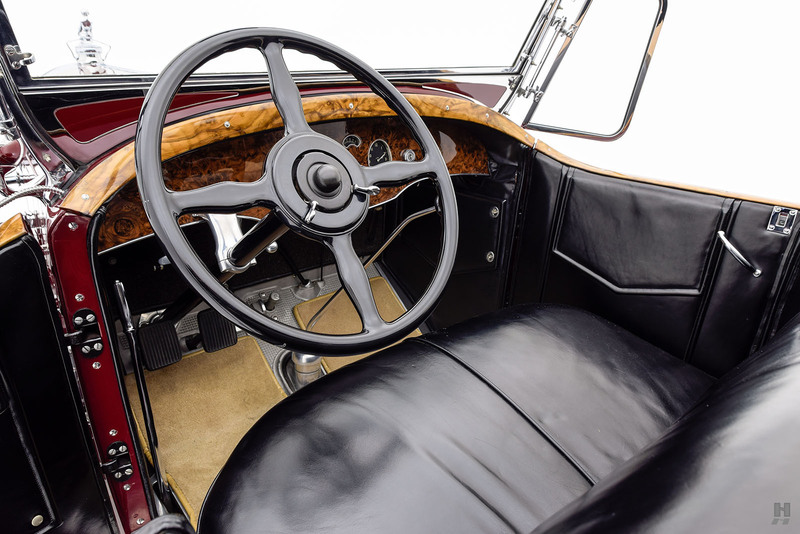 As with the rest of this fine automobile, the quality and attention to detail of the interior are outstanding. 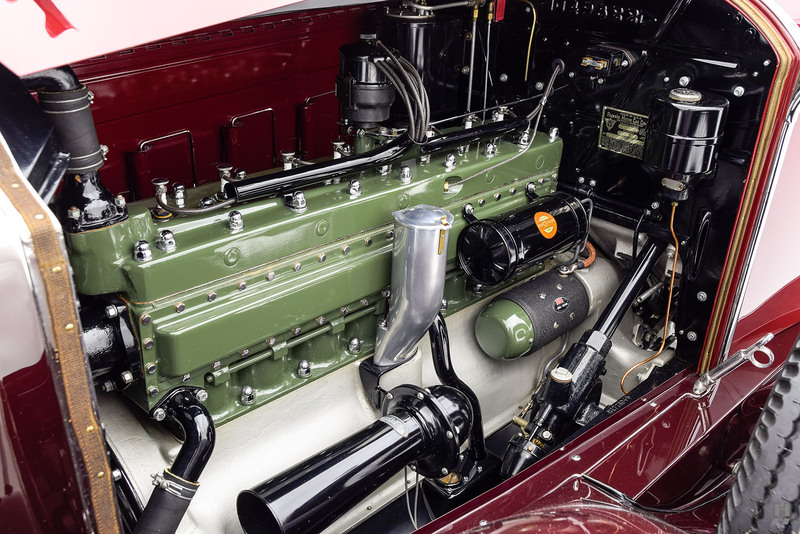 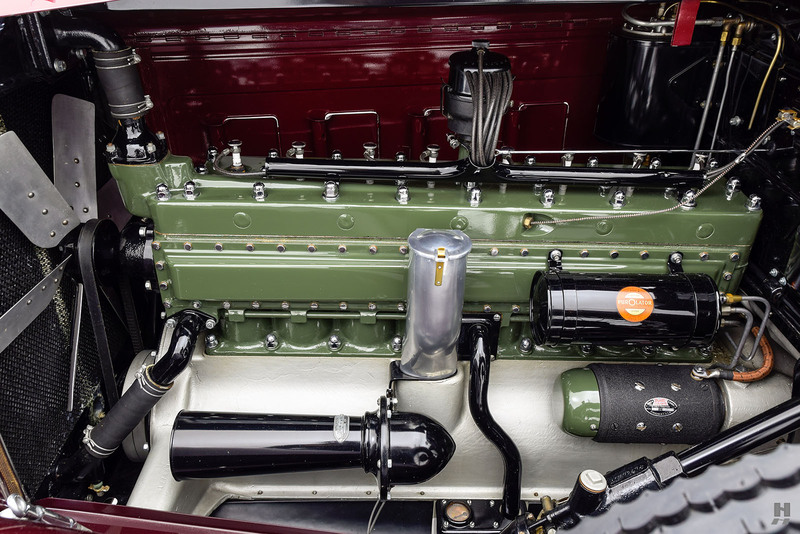 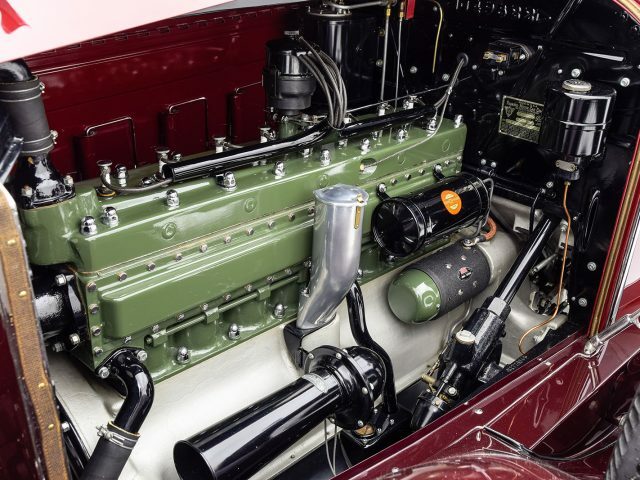 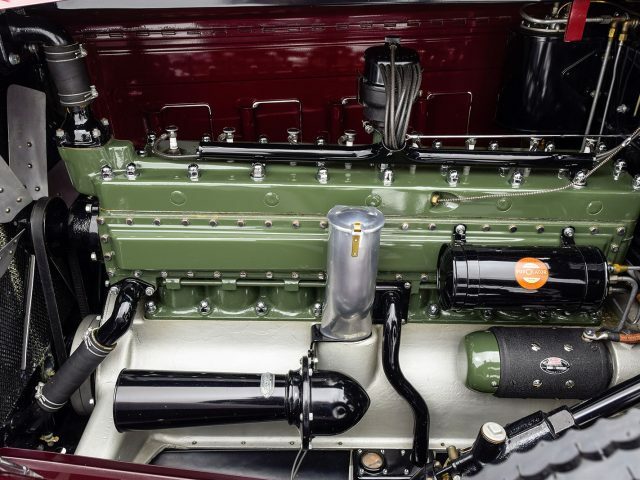 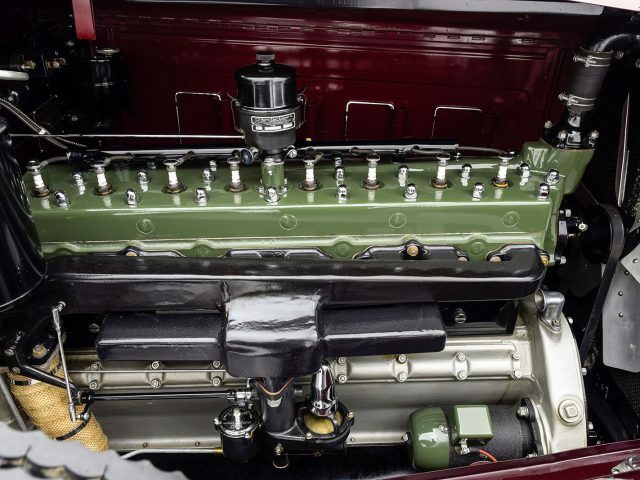 The 384.8 cubic-inch inline eight was professionally rebuilt as part of the restoration, and it continues to run well, emitting the signature deep bellow of a Packard eight. 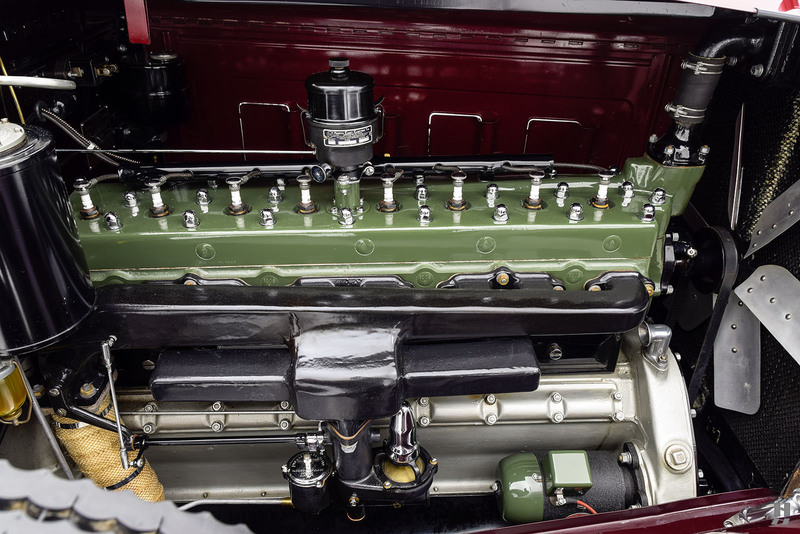 The presentation remains excellent as well, with correct Packard Green paint on the block and head, with very good chrome hardware and painted finishes. 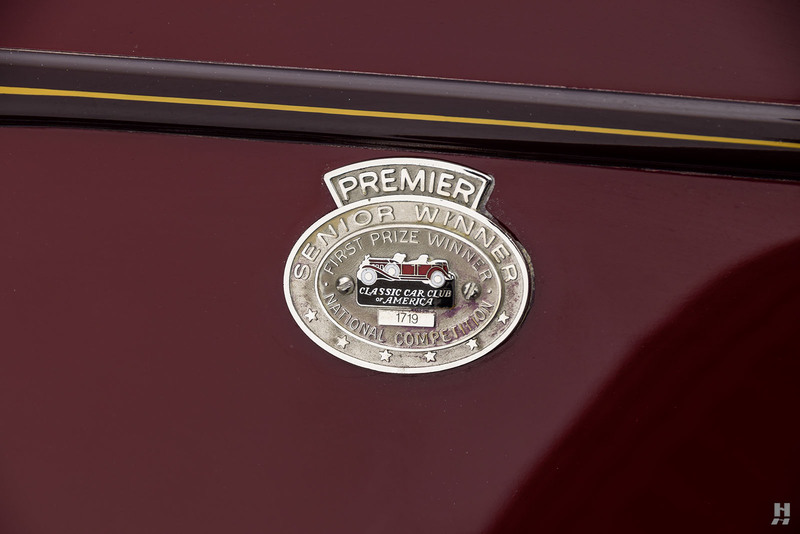 It is very tidy and appropriately detailed, while also nicely mellowed from age and moderate use. 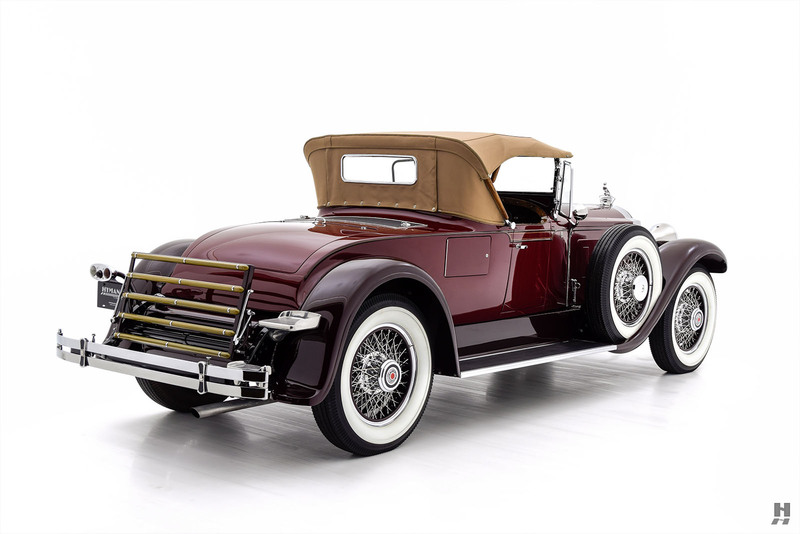 With fascinating history and iconic looks, this 640 Runabout is one of the most desirable factory-bodied Packards of the era. 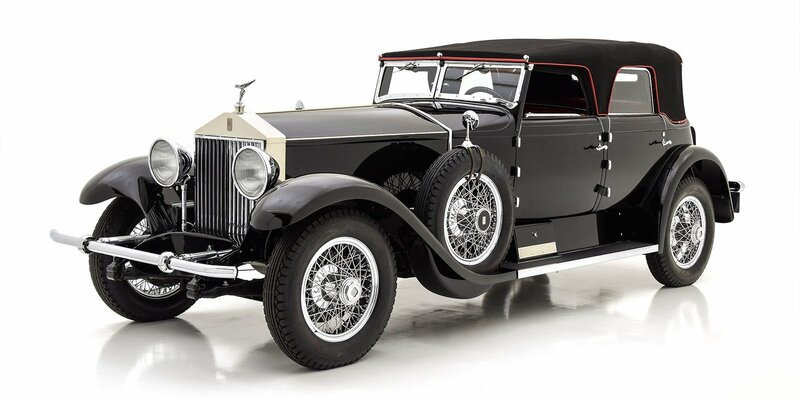 This example has been beautifully maintained since its restoration, is a joy to drive and would be a welcome participant in CCCA CARavan tours, driving events, and regional concours.